We believe Southwest Lancaster has economic vitality as evidenced by a revitalized Manor Street commercial corridor and ample supportive programs for entrepreneurs and small business owners. Make Concentrated Improvements to Manor Street between W. King & New Dorwart. Reinvigorate Vacant or Underutilized Properties in the Neighborhoods. The City of Lancaster will be improving the streetscapes of W. King St. and Manor St. corridors. This includes the installation of pedestrian style lighting and street trees. These improvements will attract entrepreneurs and business owners to these commercial corridors as well as increase the quality of life for SoWe residents. Construction is ongoing. 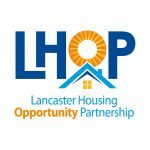 Lancaster City Alliance and SoWe are providing matching façade improvement grants for Manor St. and condemned properties in SoWe. For program details and to see if you qualify contact Jeremy Young or 717.394.0783. ASSETS is a non-profit that works with start-up and existing businesses to form a more ethical economy. ASSETS offers in-depth training and creative financing for entrepreneurs, especially women and people of color, and works with established businesses to improve their social and environmental footprint. Resources for entrepreneurs and business owners include: 12-week Business Start-up Classes, business seminars, The Great Social Enterprise Pitch competition, credit-building microloans, fast-track loans, and impact business strategy consulting. Building on Strength is the City of Lancaster’s Economic Development Strategic Plan. This plan helps guide development in SoWe and throughout the city. Recommendations on Manor St. include the reconversion of historically commercial buildings back to their intended use. It also identifies key locations for future development. SACA (Spanish American Civic Association) is an organization committed to empowering the Latino community through offering many services for self-help and self-development, such as health programs and education resources. Tec Centro is one of the organization’s offered programs that provide language development, adult basic education training, bilingual skills training, job readiness and placement.